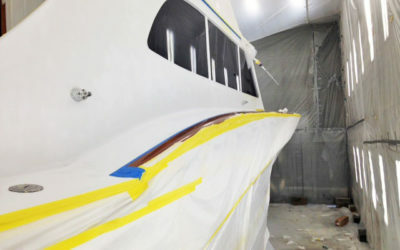 From the simple repair of scratches and scuff marks to full hull restorations and repaints, Jarrett Bay’s skilled applicator team in partnership with Royale Yacht Finishing, have extensive experience in applying all the well-known yacht coatings brands. 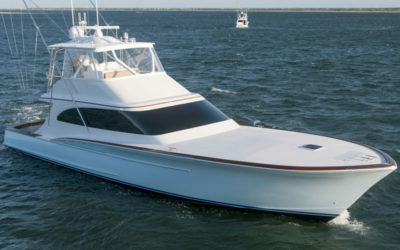 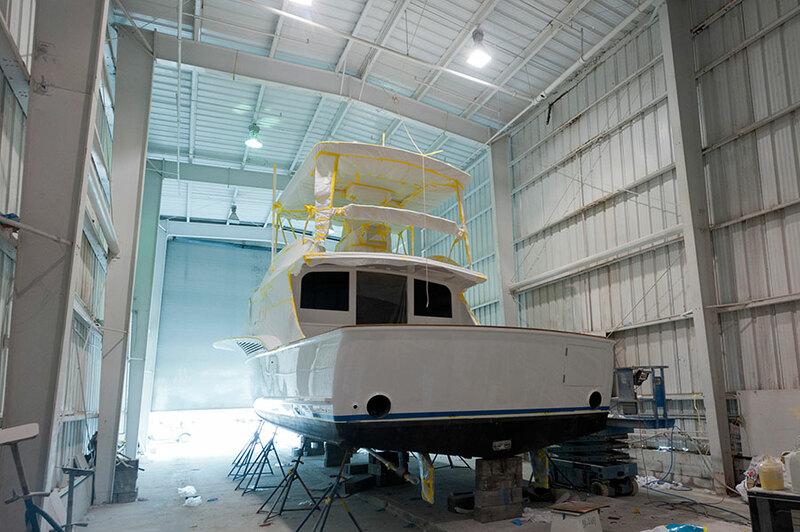 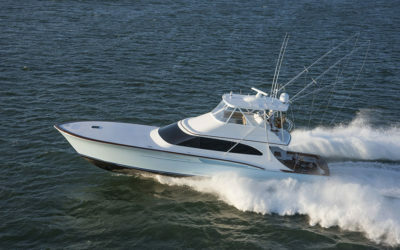 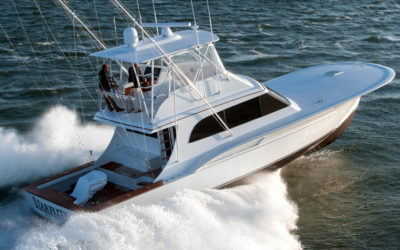 Although our paint team prefers the ease of mixing, lustrous finish and seamless repairability of Alexseal for hull and topside coatings, they will apply any color of any major brand at a customer’s request – including metallics. 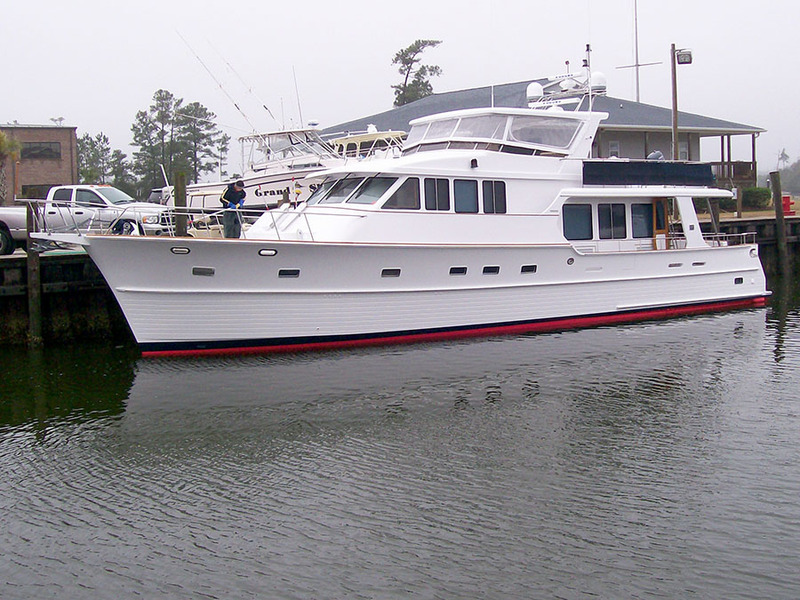 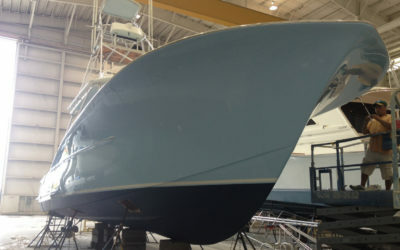 The Jarrett Bay paint crew also excels at applying specialty coatings including Sea Hawk anti-fouling bottom paint and PropSpeed.